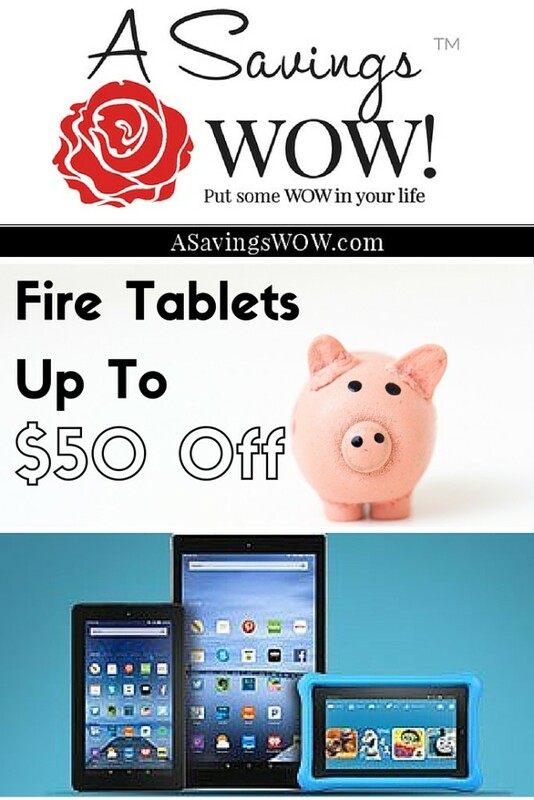 Fire Tablets Up to $50 Off! | A Savings WOW! Fire Tablets Up to $50 Off! You can get Fire tablets for up to $50 on Amazon.com right now! The Fire tablets can be used not only for reading ebooks, but also for watching TV shows, movies, videos, listening to music, and more. We use ours for everything from personal use to business use. Many apps are available to use on the Fire tablets and at these prices (as low as $39.99), you definitely get a lot out of your purchase. With an Amazon Prime membership, you can also download some things directly to your Fire tablet.